Iranâs Islamic Revolutionary Guard Corps is reeling from a devastating attack on its covert training center in Bandar Deylam, Iran. In retaliation Iranâs Supreme Ruler unleashes an ultra secret weapon - Unit 400. 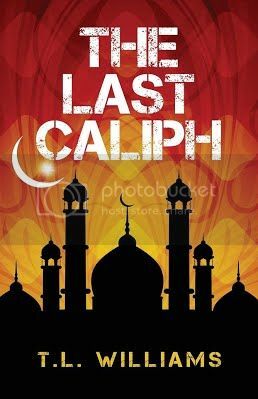 This cadre of trained assassins has its roots in ancient Persian culture, when Ismaili leader, Hassan al-Sabbah, unleashed the Hashashin from their mountain fortress at Alamut to assassinate political and religious foes. One man stands in their way - former Navy SEAL Logan Alexander. In this exciting sequel to award winning author, T.L. 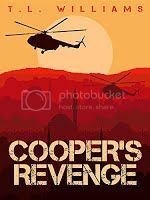 Williams' debut novel, Cooperâs Revenge, Logan and his Special Forces team travel to Europe and South America in an effort to track down the elusive killers before they can strike again. For readers who enjoyed Tom Clancy and James Patterson thrillers, CIA veteran T. L. Williams unfolds a chillingâand highly conceivableâscenario in his latest novel, ZERO DAY: China's Cyber Wars. Moving between Chongqing, China and Langley, Virginia, this fast-paced spy thriller revolves around a plot by the Chinese government to seize the edge on global power by undermining the U.S. economy. Armed with an underground force of hackers, Chinaâs Ministry of Public Security (MPS) has a mission: to destroy confidence in the dollar by launching persistent, aggressive cyberattacks on Americaâs banking system. Revengeâagainst the Communist Party for his fatherâs shameful death, Li Jiang, a senior Public Security Bureau officer in Chongqing, lets America in on the covert details of Chinaâs masterful cyberattack plan. To vet and handle this potential asset, the CIA dispatches Logan Alexander, a former Navy SEAL, working undercover in Hong Kong, to China. Logan quickly comes to trust Li. But the brass back in Langley have doubts. Could Li be a double agent? Or could a trusted American be spying for the Chinese? Reviewed by the CIA, ZERO DAY is packed with authentic insider details. As discussed on FOX, NBC, CBS,ABC and NPR, Williams latest novel is a must read. KIRKUS Reviews, the Midwestern Book Review, Foreword Reviews and Creative Loafing have all praised Zero Day with critical acclaim.